RHYS BOWEN: Today we salute all veterans, those still living and those who paid the ultimate sacrifice. 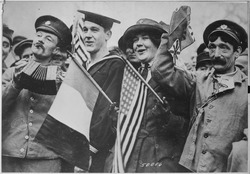 This year the day is especially significant as it marks the hundred year anniversary of the end of WWI. 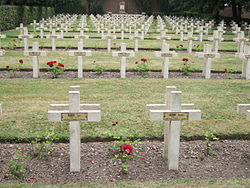 Also known as the Great War, and for many years as THE WAR TO END ALL WARS, it was the deadliest war in human history. It killed nine million military combatants and an estimated seven million civilians. It also weakened the world population with hunger and deprivation so that when the flu struck in 1918 with a particularly virulent strain it became a worldwide pandemic that killed between 50 and 100 million people worldwide. It was particularly brutal for those who had to fight as it was run by generals used to cavalry charges, who instead sent their troops against tanks and mustard gas. Imagine living in a trench, wet, cold, often knee deep in mud, then being sent "over the top" while bullets and grenades fell around you. And all to gain maybe five yards of territory, before losing it again the next day. Each assault resulted in thousands of lives lost per yard gained. It was insane. Apart from the physical wounds, the blinding and damaged lungs of mustard gas, there were the psychological wounds. To be sitting on the lawn in England, eating strawberries and cream one minute and the next day being sent back to that hell was too much for many young minds. And PTSD was not understood in those days. When they cracked and simply couldn't join an assault they were shot for cowardice. The men who made it home were horribly damaged. And all of this started because an anarchist assassinated an obscure archduke in a small Balkans town! I hope it makes us all think how little it takes to light the flames of ambition and conquest and how devastating the effects of the smallest act can be. I've actually just been immersed in this topic as my next novel, that comes out in February, takes place in the Great War, and it deals with what happens when the men in a village are not coming home and women are called to do things they did not think possible. It's called The Victory Garden. 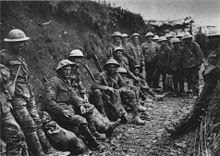 So let us all pause for a moment of silence this morning and think of all the men and women, in all of the wars, who did what they were called upon to do, with bravery and stoicism. Who died far from home in foreign fields, or came home broken. We salute them all. I’m looking forward to reading your new book, Rhys . . . .
To the brave men and women who served, to those who continue to serve, thank you for all you have done, for all that you have given for our country. Thinking on the large loss of life from WWI and then the flu pandemic is mind boggling, so hard to wrap one's mind around such large numbers. That's why I think it's so important for us to read both non-fiction and fiction stories dealing with individuals or groups affected by the loss. It makes it more real, more tangible to us. It used to be all WWII for me, the interest and the reading about, but in the last few years, I've gained an intense interest in WWI. My husband and I visited the WWI Museum in Kansas City two years ago, and it spurred along my WWI interest. I'm still interested in WWII, but the effects of WWI, especially the shell shock and psychological impacts that they didn't know how to deal with fascinate me. The Todd's Ian Rutledge series deals with this so brilliantly. For me personally, a note of interest is that my father, who was born in 1901, was just barely too young for WWI, and was too old for WWII. Rhys, I'm so looking forward to reading Victory Garden. Thank you for this reminder post of just how high a price was paid by so many brave people serving in different capacities during the war to end all wars. Faced by almost certain death, they did their duty as best they could for as long as they could. My heart aches for all those who never again came home to eat strawberries on the lawn or hug their children goodnight. My grandfather went into the Army when the United States joined the fight in WWI, He would have turned 18 in August and only made it as far as Fort Dix, in preparation for shipping out, when the Armistice was signed. He told me those on guard duty thought at first they were being attacked when people started shooting guns and fireworks in celebration. The stories he told me were all like that--funny stuff a hillbilly boy saw when he ventured out into the wider world. He never once mentioned the Spanish Flu, which swept through the Army camps in those years, and the little Ozark towns where he grew up as well, as witnessed by the dates in the old family cemeteries. I know he must have seen it, but he never wanted to talk about it. Rhys, thank you for the beautiful tribute. The ceremonies here in Britain marking the centenary have been very moving. Did anyone see anything about the sand portraits? Organized by director Danny Boyle, volunteers all over the UK raked portraits of WWI veterans into beaches, then let the tide wash them away. https://www.youtube.com/watch?v=oBjIoMgED7k Here's on you YouTube. I heard a brief mention of the sand portraits on NPR. No pictures, obviously. Oh Debs, I didn’t know that—off to look and salute. Rhys--thank you, perfect. The bravery. Is unimaginable. And puts so much in a different perspective . We were in England on 11/11/2000, and being there on that day was an experience I'll always remember. Britain indeed fell silent at 11 a.m., and the sounds of Big Ben tolling eleven times was all that was heard Humbling to think of what the British and all the rest of Europe suffered during the war to end all wars. We know how that turned out, don't we. I just told Julie about your new book Rhys, and that got her Monday off to an auspicious start. In this difficult transition of hers, preparing to retire, your books are what gets her mind off all the hated change she is facing. Not that retirement is hateful, not at all, but the pressure of stacking all her BBs for her successor is difficult. This is a wonderful essay Rhys, thanks for sharing it. And I'm not gloating, really, but reading THE VICTORY GARDEN right now. You all are going to love this! What a beautiful tribute. I have to tell you, Rhys, that your last two books have converted me. I always said I didn't like historical fiction, and then I carved out a tiny exception for Jacqueline Winspear's books but still turned up my nose at the genre otherwise. But after In Farleigh Field and The Tuscan Child, which I gave a chance because of all the buzz here at JRW,I have to admit that clearly, well-written historical fiction is a treat I have been missing. So now I'm excited to hear about The Victory Garden! Susan, I think I'm delving into history because our current time feels so unsettled and scary. I was just talking to a friend who reads mysteries and we both agreed there seemed to be a noticeable surge of historical fiction - in mysteries and beyond. We both concluded it was life today - we all want to escape into the past, where, no matter how dreadful things got, we already know people will come through at the end of it. Such a somber time that is so unknown to so many (at least that's the way it seems sometimes). Looking forward to the new book, Rhys. Your essay is a memorable tribute. I started last July, but I’ve now read all of your books. I’m eagerly awaiting Victory Garden. I have long thought that WWI never should have happened. A tiff among royals who never had to fight the battles. Consequences set the stage for WWII. And our world is looking scary once again. But your books let us forget it for awhile. so moving and SO timely - thanks, Rhys! In elementary school I had to memorize In Flanders Field (the poppies grow/ Between the crosses row on row...) but no one spent any time really getting us to understand what that was about. Doggerel: not. So it's good to be reminded again. And yes, I agree, these are scary times. And all of those other war poems, Hallie! So moving. At the remembrance ceremony each year they recite, "They shall not grow old as we who are left grow old. Age shall not weary them, nor the years condemn, but at the going down of the sun and in the morning we shall remember....and poppies fall from the ceiling. And I weep buckets! And WWI. Like Kathy Reel mentioned above, the Todds' Ian Rutledge books brought the misery of the war home to me in a way that history had never done. About the time I found those books, I'd discovered that my Grandfather Church had been a soldier in WWI. Through a bit of extraordinary luck, eventually I found that he had served in the 6th Field Artillery Regiment of the 1st Expeditionary Division and the dates of his service. With that information, I could get a sense of where he'd fought--along the Western Front. Gains of 3 miles here, etc., and it all explained so much about the man I'd known. He could be an extremely harsh man--especially towards my dad, and it wasn't because of drink. We could never understand it, growing up. But in hindsight, armed with the information about his wartime service, I would guess that he was a different kind of casualty of that war. (And in his later years, he did mellow--there was a kind of sweetness to him--it makes me wonder now, how different all our lives might have been if he had received help when he came home). Thank you for your blog. I was in London for Remembrance Day a few years ago. We visited the Cenotaph and roamed around Westminster. A chamber orchestra at St Martin's in the Fields performed a candlelight concert of Mozart's Requiem. I remember the spirit of the people, determined to remember and celebrate. Man's inhumanity to man is exhausting, isn't it? I started to expand on this idea, but I'm so weary of it that I think I'll just let that statement stand on its own. Rhys, your series books and stand-alones have taught me so much about world history. Regarding the Spanish Flu: an entire branch of my dad’s family succumbed to it. Some years ago while walking in an older part of the cemetery where many of my relatives were buried, I came across their graves. It moved me to tears: the young parents and their infant triplets all died within a day or two of each other. I can’t remember if there were other children. I think one of the parents was a cousin of my grandmother. A few years ago I read a fascinating book on the beginning motivations for WWI called The War That Ended Peace by Margaret MacMillan. The basic premise was asking what was so different about 1914 that the leaders of Europe all gathered together and fatally launched themselves over a cliff. Dense reading, but really interesting. I happened to be in London with my mother-in-law November 11, 2000. It was a Sunday and we went to church at St Paul’s. Half the cathedral was filled by military in their dress uniforms. The service was moving. The two minutes of silence just about did me in emotionally. As kids our focus was on WWII since just about everyone’s dad served. As an adult I’ve been practically obsessed by WWI. My great uncle Lowell served in France in an artillery unit. I met him only once. I must have been about five. I wish I could talk to him now. Rhys, what a wonderful post! I posted a photo on my Instagram stories yesterday. And on Jacqueline Winspear's Facebook page. 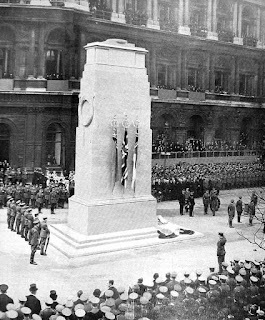 It was a photo that my grandfather took on the 11th of November in 1918 in England. His ship had been torpoeded off the coast of England. He and his crew were on lifeboats for several days before they were recused. My great grandparents received a telegram that my grandfather was killed in action. They were about to start the funeral when they got word from a military hospital that my grandfather was alive but recovering in the hospital. Rhys, I'm thinking of the fires, and hoping your family is okay out there. What a horrible situation right now. I live in awe of soldiers, especially of the Great War, who left home as little more than children, and fought in hellacious battles in unfamiliar landscapes away from everything they had ever known. "Thank you for your service" doesn't feel strong enough as a thank you for all that they suffered. Happy Thanksgiving to our Jungle Red Family! Thanksgiving: It's all about the food! Totally, dude! The Reds on slang. Voting is your SUPERPOWER: Exercise it!! Please.